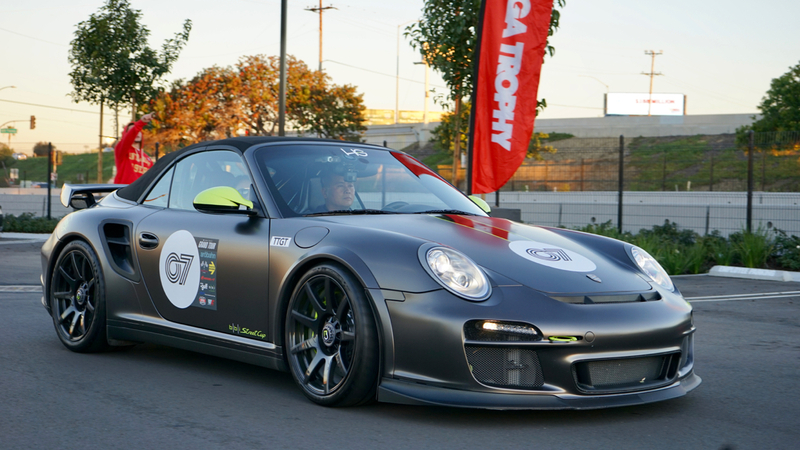 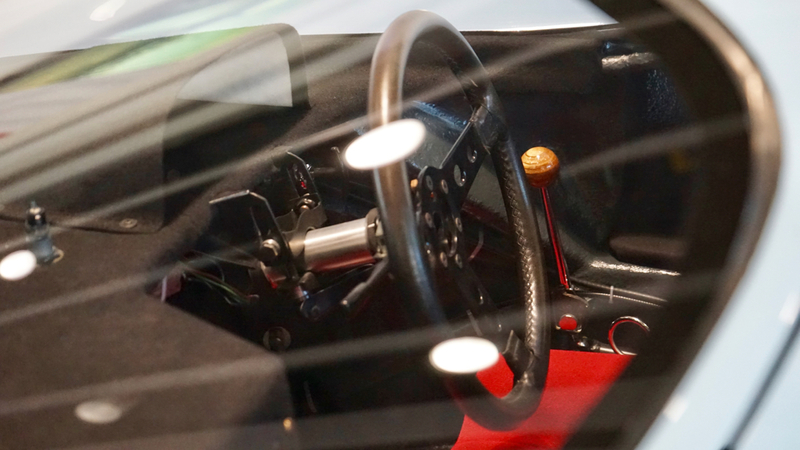 Since 2007 – Targa Trophy has been at the forefront of automotive lifestyle and performance driving events. 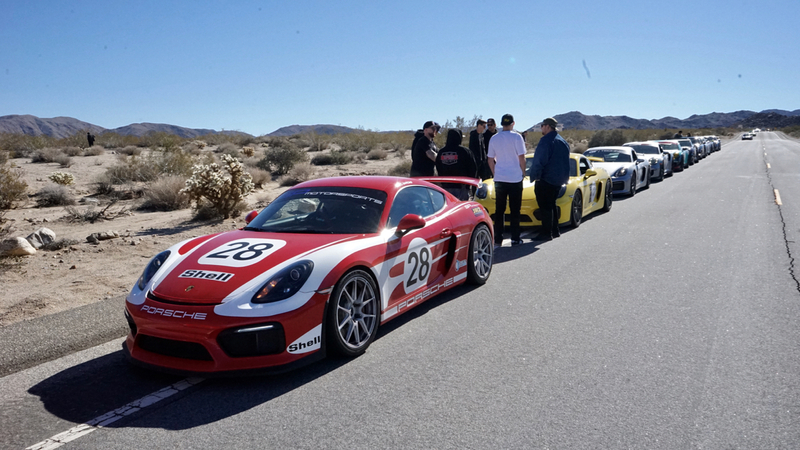 Over this time they have produced globally recognized road rally and track events coast to coast, as they have amassed an extensive participant and fan base of Super Sports Car and lifestyle enthusiasts. 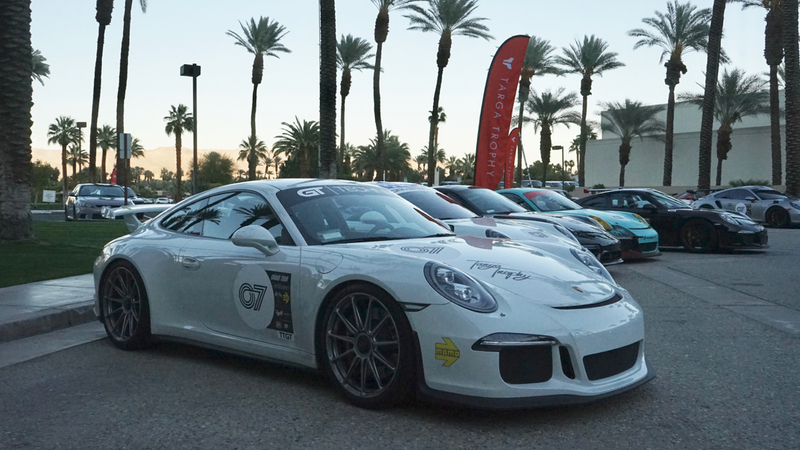 For 2017, Targa Trophy introduced the Grand Tour series – taking the weekend road trip to the next level for the unique driving and lifestyle get away. 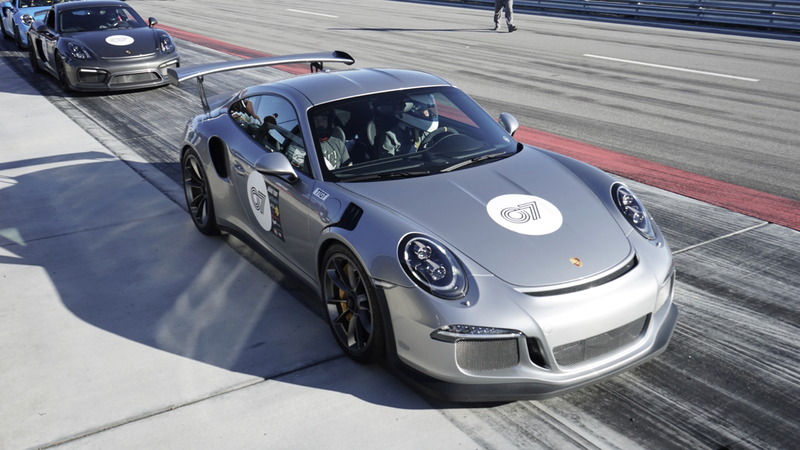 The first event in this series was the Porsche edition, but not just any Porsche, entries where only open to Turbo & GT models or higher. 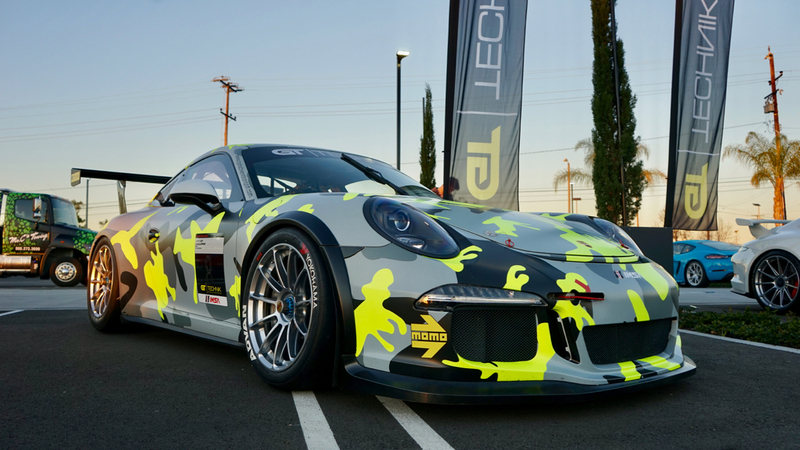 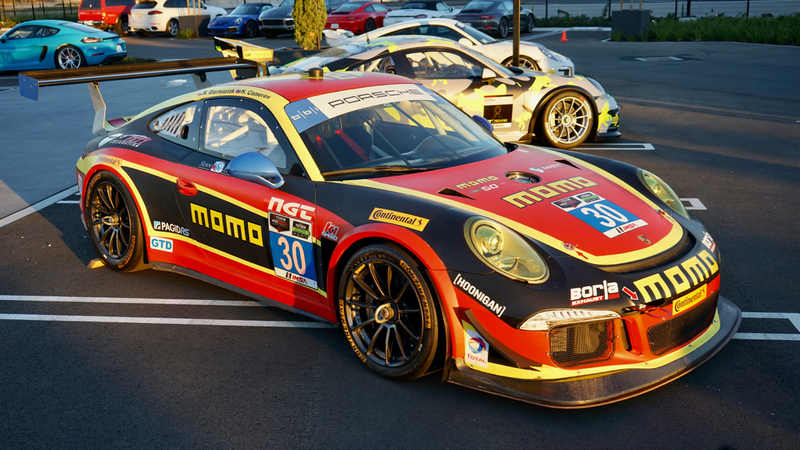 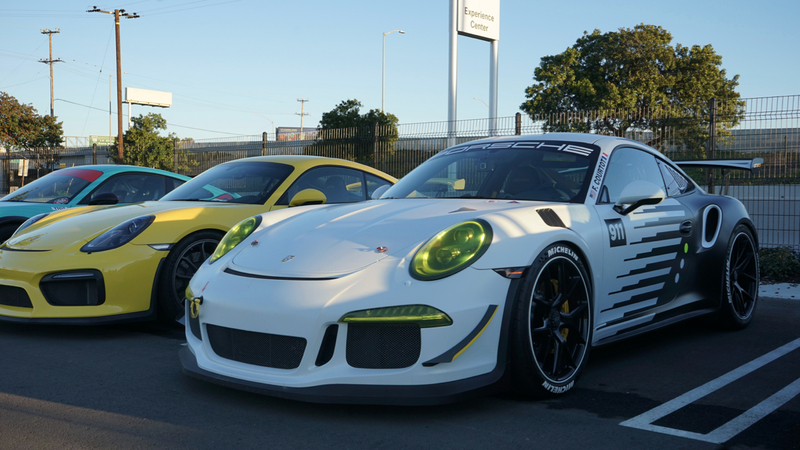 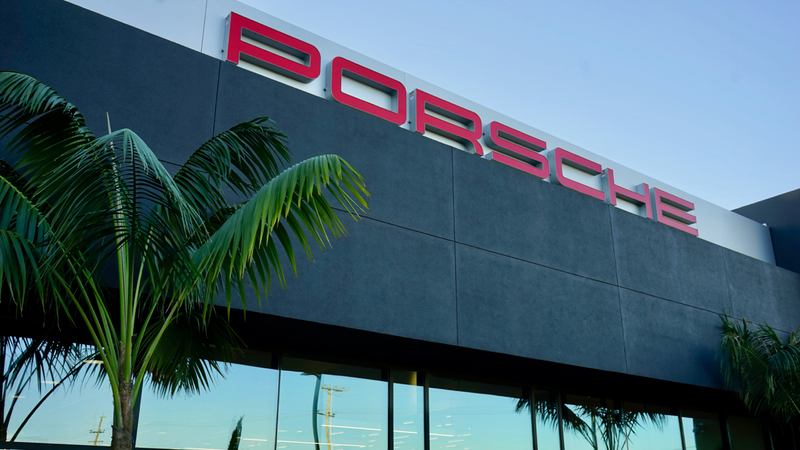 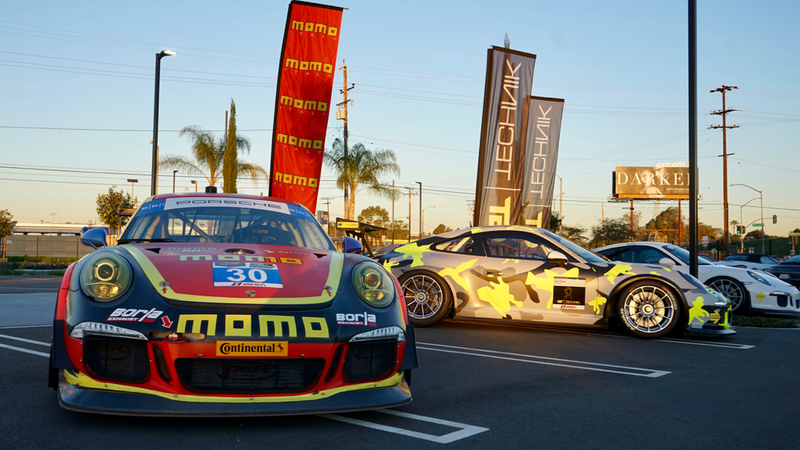 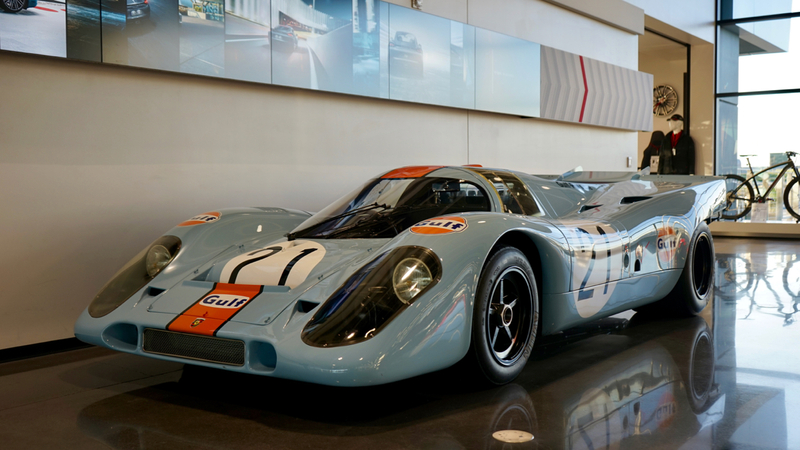 50 cars gathered at the Porsche Experience Center just south of Los Angeles where MOMO had the infamous GT America race car on display, along with Max Puleo’s GT3 Cup Car. 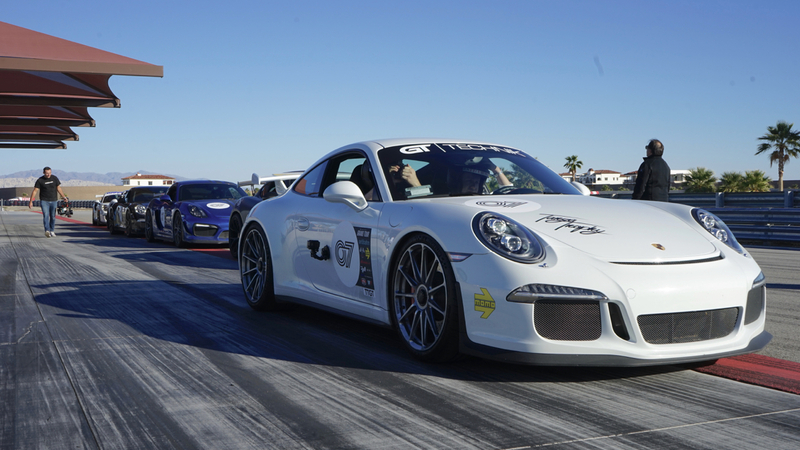 Rally guests had the chance to enjoy all on show at PEC before heading into driver registration. 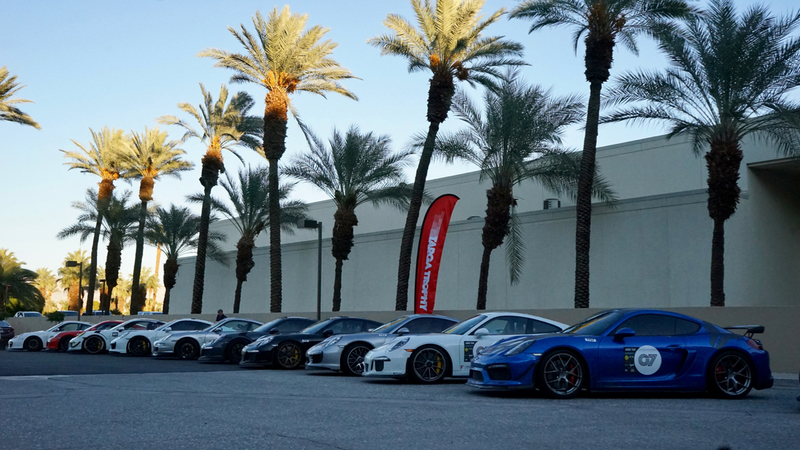 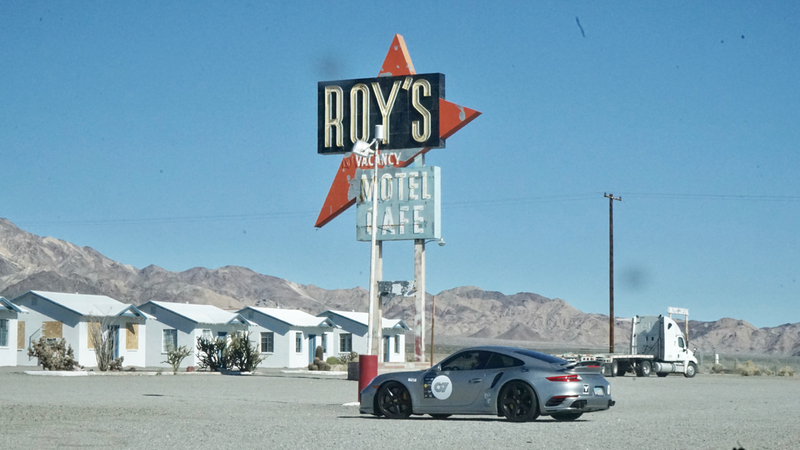 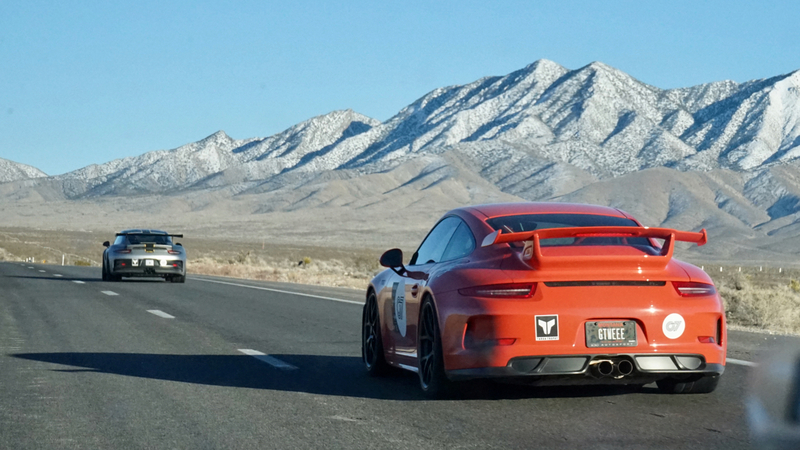 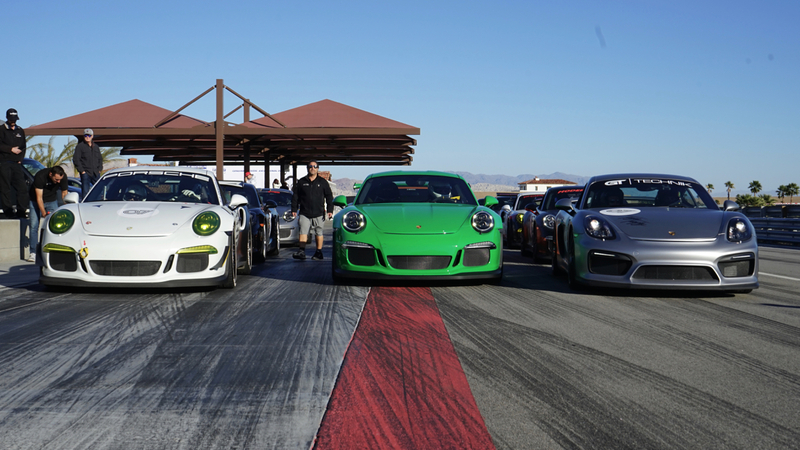 The first leg was a 3 hour drive from Carson to Thermal race track in Palm Desert. 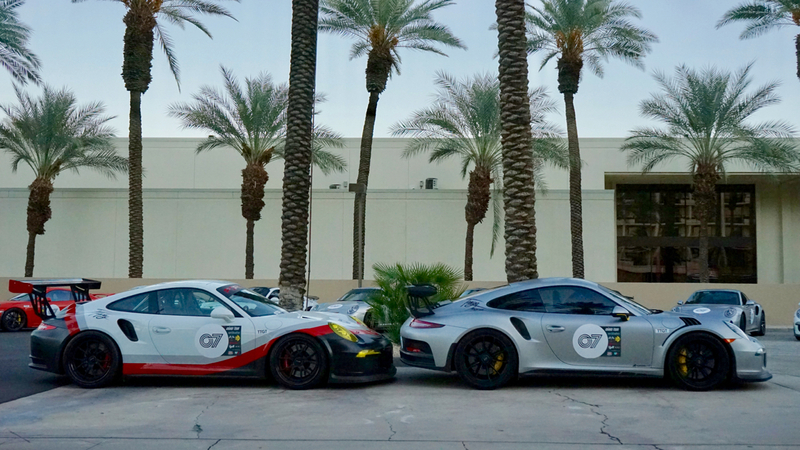 Rally participants had a chance to test out the limits of their cars in a safe environment before heading to the hotel to relax and discuss the days adventure over a cocktail. 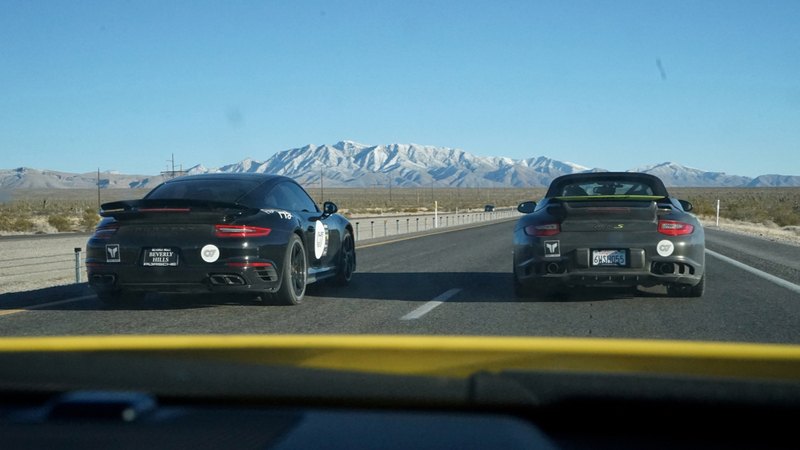 Early start to day 2 as the rally took the fun road to Las Vegas.